Central nervous system (CNS) tumors are the most common solid tumors in childhood. Those tumors are a heterogeneous entity because of their different histologies, behavior, incidence, and therapies that can even be different in different ages of life and, within the childhood, can be different at different stages. A peculiar group are tumors developed before 3 year of age, because of the complex interaction of the disease with the developing brain and because of severe limitation on the treatment with implications both on the side of the surgery and on the medical treatment. Such kind of observation is even more evident if we consider patients younger than 12 months of age. Within this group are included the so-called congenital tumors, considered as the tumors diagnosed in patients younger than 2 months of age, but this definition is commonly extended up to 2 years of age. 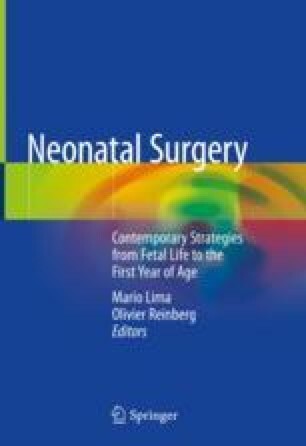 We will expose a review of the literature and the experience of our Center of Neurosurgery and Neuro-oncology about CNS tumors diagnosed in children younger than 12 months of age, with particular interest in epidemiology and risk factors, clinical presentation, histology, surgical and medical treatment, and outcome. Particular attention is given to neurosurgical difficulties in this age group.